Please contact Michele Mikita at marketing@treetopbuilders.net with all press, media, or treehouse book publishing inquiries. Please understand that we can not always accept every request for interviews, but will help as we can. Watch us on Extreme Makeover! 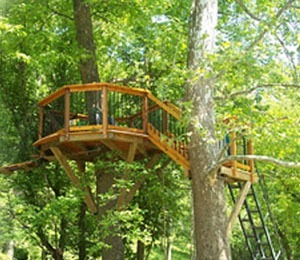 We are proud to have been chosen to create a fantastic tree house project for a deserving family in Kentucky. Our extreme makeover treehouse aired on ABC in January of 2011. View below to see us in action with Ty, Ed, Paul, & Paige building an extreme treehouse! Jaw-Dropping Tree House a Dream Come True for Lambertville Family, April 2017. With Elaborate Treehouses on the Rise, They're Still a Labor of Love, The Baltimore Sun, June 10, 2016. Rooms With a View: Treehouse Construction is on the Rise, Tree Services Magazine, March 2016. 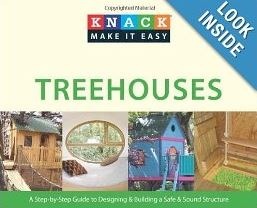 Dan Wright is the co-author and technical reviewer for a new treehouse book! Check out the treehouse book at Amazon.com! 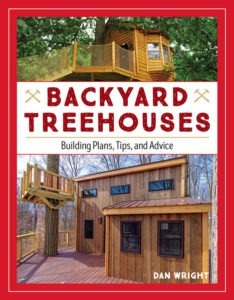 The book has a lot of photos of tree houses, construction hints, and shadows a recent Tree Top Builders treehouse built in Eastern Pennsylvania.